The grossly manipulated "Wall of Separation between Church and State" is the most colossal fraud ever perpetrated upon The United States of America. Actually (while employing re-think mode), it is now reclassified to be the SECOND greatest fraud ever pulled on the American people. 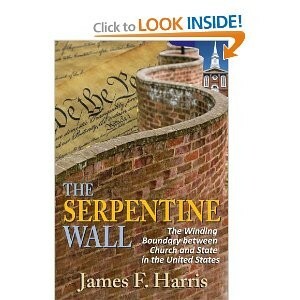 Transaction Publishers' new book, The Serpentine Wall, by James F. Harris, finally pulls back the curtain to shine the stage lights on the entire history of this clear example of determined misapplication of law to further the agenda of sabotaging God and shutting down churches. That "Wall" is a wall that does not [nor] has ever existed . Proponents of that movement so influenced a gullible public into believing that there is indeed such a wall, that [it] could be construed as a rip-off from the Hans Christian Andersen fairy tale, "The Emperor's New Clothes," a classic tale that tells of an arrogant egotistical emperor who wants the fanciest robes in the world to further impress his subjects. Two rogues enter to present themselves to the Emperor as expert weavers with colors and patterns accomplished by no one else. Indeed the royal clothing they would make would be so divine that it would "be invisible to anyone who was unfit for the office he held or those who are extraordinarily simple in character." Hmmm. The emperor, who changed clothing every hour, immediately brought them in as advisers and craftsmen. The clothing, they told him, would even be invisible to him,The Emperor, as it was being prepared. These trusted advisers began their work, with invisible threads, and would advise the emperor when the ensemble was completed. The conclusion of that fable shows the emperor proudly strutting down the streets before crowds of his subjects while completely naked. Nobody dared to state this glaring fact since they would either be considered unfit for office or deplorably stupid. So everybody kept quiet as the emperor paraded down the streets. Sounds familiar. The now royal tailors, who gained the emperor's trust by appealing to his ego, had given this deception great thought along with the words they would use to pull it off. And they did. It is exactly the same planning and logic that went into the carefully prepared case to basically make Christianity illegal, even to the point of declaring that this is stated in the Constitution and Bill of Rights. It is NOT stated that way in The Constitution. It is in there but not for the purpose of making worshiping God distasteful and a threat to society. This distortion is the direct result of high level maneuvering and misrepresentation with compelling arguments from skilled speakers. The purpose of Thomas Jefferson's words, written to the Danbury Baptist Association, was to assure them that the government would not prohibit any church denomination, that all denominations would have equal freedom to practice their faith. In other words, there would be no ONE State Church. That was it, not a prohibition of practicing Christianity as is pretended by the enemies of the church. Jefferson then clarified his INTENT of the separation issue, something never included in the arguments, that can be seen on page 27. The clearly stated intention was a strong emphasis on the RELATIONSHIP between the churches and the state. By using only a part of what Jefferson said, the distortions began, bringing chaos and confusion over the role of the church in society. Like a snake slithering through the public to deceive (just like in the Garden of Eden), The Serpentine Wall is an apt and appropriate title for this important work. Author James F. Harris, a Francis & Hassrot Professor Emeritus in the department of philosophy at the College of William and Mary, has done an outstanding job of putting this book together. Anytime a philosopher writes a book you can bet that it will be thorough with incredible scholarship. Along with the constantly evolving legal issues involved, Mr. Harris treats the reader to a wonderful history of America, the political system from the beginning to present time and how The Enlightenment contributed to the discussion. It is also a religious history invoking names like John Wesley, George Whitefield, Jonathan Edwards and The Great Awakening and how it affected the country as a whole. It is not how you think. 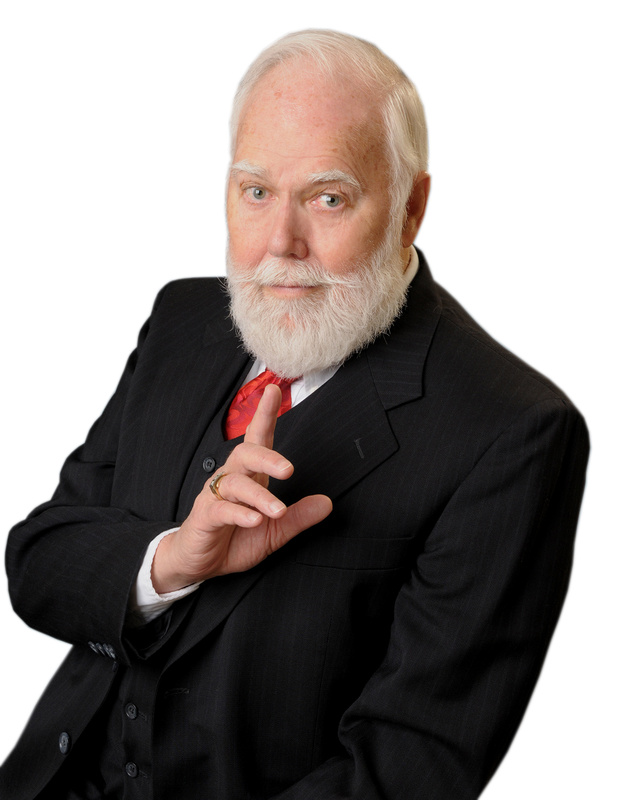 Television preachers like Pat Robertson, and Jerry Falwell, among others, are spotlighted as well as Bob Jones University; politicians including presidents, cult leaders like Jom Jones; and even the Mormon Church, "the only religion that originated on American soil " played a role. There are also the drop-ins like atheist Michael Newdow and his insistence that the word, God, be removed from all currency and The Pledge of Allegiance, indeed, from all public view with the separation argument as his brief. So what about this 'official treaty' passed unanimously by the Senate and signed by the president of the United States stating: "The declaration is made that the government of The United States of America is not, in any sense, founded on the Christian religion." What?? That is explained and clarified on page 79. Even so, it is acknowledged that "Christianity provided the general cultured framework within which the founding took place." Another interesting section discusses the controversial Jefferson's Bible (pages 85-87) which is fully explained. The twists and turns of The Serpentine Wall are fascinating to behold. The author presents all the facts but takes no sides or gives any personal asides regarding the issue. It is presented clearly with fully documented information. It is absolutely the finest most complete work on the frustrating issue of Separation of Church and State ever written. The 197 page volume, packed with delicious information, is a most enjoyable and easy read that moves quickly. The conclusion of this modern day fable is not our leaders parading through the streets naked, but leaders who have obviously been stripped of their stirrups.